Great post!Your cousin did a wonderful thing gifting you with that dish,a treasure for sure! 1. She was born in 1825/26 in Alsace-Lorraine and died in 1893 in Allegheny County, Pennsylvania. 2. Her husband, Jacob Boyer, was likewise born in France. By 1860, they were married and living in Pennsylvania with four sons, the eldest of whom was born in France. 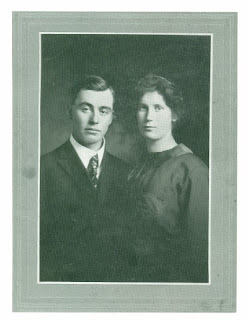 Their second son was born in Pennsylvania about 1852. They would have emigrated from France between 1850 and 1852.